"People have the right to be angry. People have a right to protest. People have a right to free speech. But they do not have the right to...criminal acts," Police Superintendent Garry McCarthy told a news conference Tuesday. McCarthy said his officers are hoping for the best, but are expecting the worst. 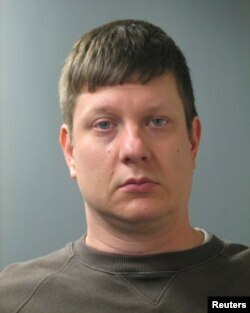 Chicago Police Officer Jason Van Dyke is seen in an undated picture released by the Cook County state's attorney's office in Chicago. The Chicago Tribune newspaper quotes police as saying McDonald was behaving erratically, had drugs in his system, and refused police commands to drop a knife he was holding. The Chicago shooting is another in a series of highly publicized police shootings and deadly assaults of young black men by officers — mostly white, some black. FILE - A protester camps outside the Minneapolis Police Department in this Nov. 17, 2015 photo. One man was arrested Tuesday morning and two other turned themselves in later in the day. A Hispanic suspect who had also been arrested was later freed.